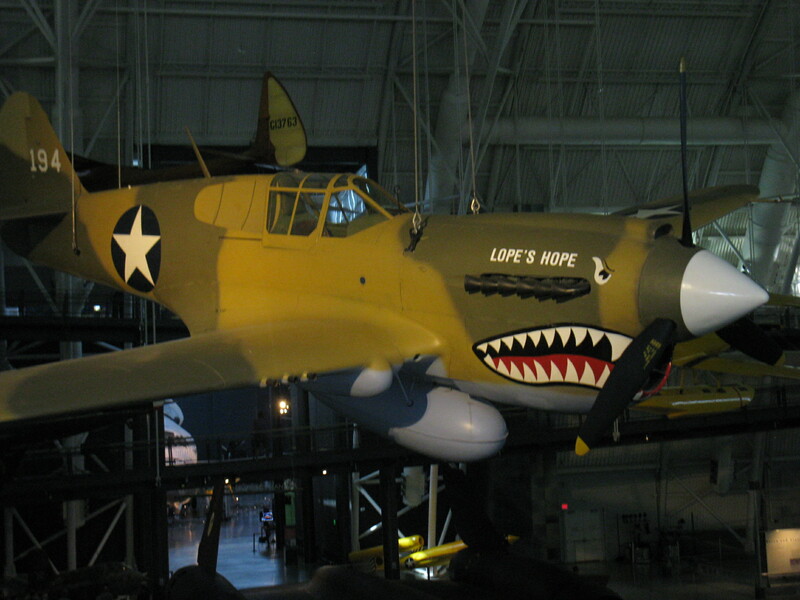 Steven F. Udvar-Hazy Center – remember the name! Who doesn’t like a good waffle? These have become a key part of the daily routine for my boys, and Sam is more than happy to share his new skills on the waffle maker with anyone looking slightly nervous. Most people make their way around Sam, make their waffles, and move on, but one small boy is looking slightly bewildered. He hesitates in front of the machine for slightly too long and Sam pounces on his opportunity to demonstrate Waffles for Dummies. Whether it be via a redemption of air miles or a Christmas present, I’m seeing a waffle maker in my future. As we’re heading out today, I meet two of our neighbours in the Hotel. I knew the Hotel allowed dogs, but I’m surprised to see two terriers exiting just as we do. I hadn’t heard so much as a muffled woof, and usually there’s a sign on the door warning guests of the canines inside. They’re either very well trained, or they appreciate a full night’s sleep. And I thought that only happened in France! 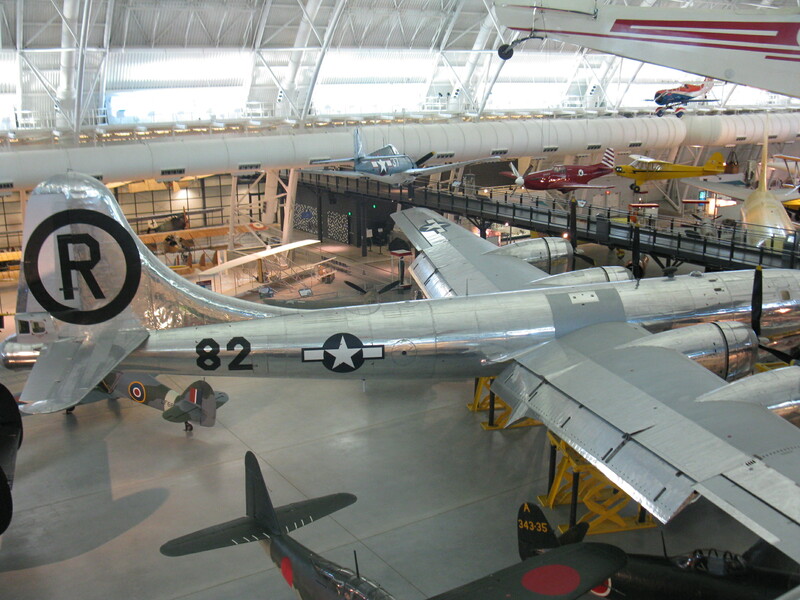 The goal today is the Steven F. Udvar-Hazy Center, part of the Smithsonian Air and Space Museum, but requiring too much space for central Washington DC. If you have your own car, it’s an easy 40 minute drive to the Center in Chantilly, Virginia. If you don’t, it requires a bit more patience and a lot more time, but it’s well worth the effort. We first need to take the metro to the end of the silver line (Wiehle-Reston East). That’s a 45 minute trip. My boys are old hands at the metro now. Our only incident was during a rush-hour crush when the boys were already safely inside, but the doors slammed shut on me, threatening to send the boys on without me. We’ve been careful to avoid rush-hours since then. At the end of the silver line, an official helps us top up our tickets for a further 45 minute bus ride to Udvar-Hazy. Thought is given to finding the Gents (or bathrooms as they are called in these parts – although don’t go expecting a quiet soak), but they either don’t exist or are very well hidden. Fortunately the wait for the next bus isn’t too long. Through this trip, I’ve tried to share my time evenly between my boys, and today I’m sitting next to Dom. You never quite know where a conversation with my boys is going to lead, and Dom’s area of questioning today is the weaponry used during the New Zealand Wars of 1845 to 1872. I didn’t see this coming – he is only eight. I should know more about this aspect of New Zealand history, so my answers aren’t too precise. I don’t think he can tell that I’m bluffing some of this. 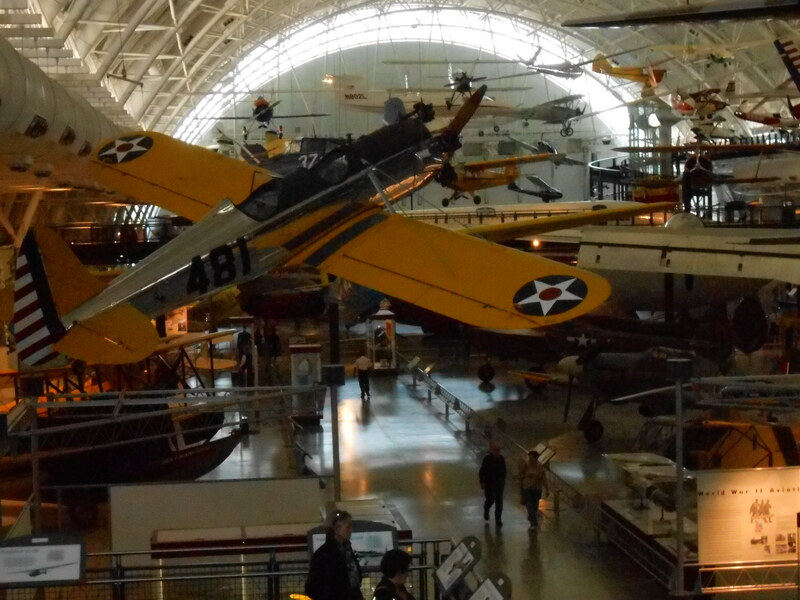 Udvar-Hazy is enormous. There are two hangars; one is the length of three football fields, and both hangars are about ten storeys high. Aircraft are everywhere, all at different angles – they sit on the ground, they hang from the ceiling. Past foes now rest together. There are currently around 160 aircraft on display, with the intention of passing 200. When I ask where the additions are going to go, I’m told that they can “shuffle them around a bit”. I bet these guys are great at packing car boots too. I’m not really a plane buff, but there are four must-sees for me here. 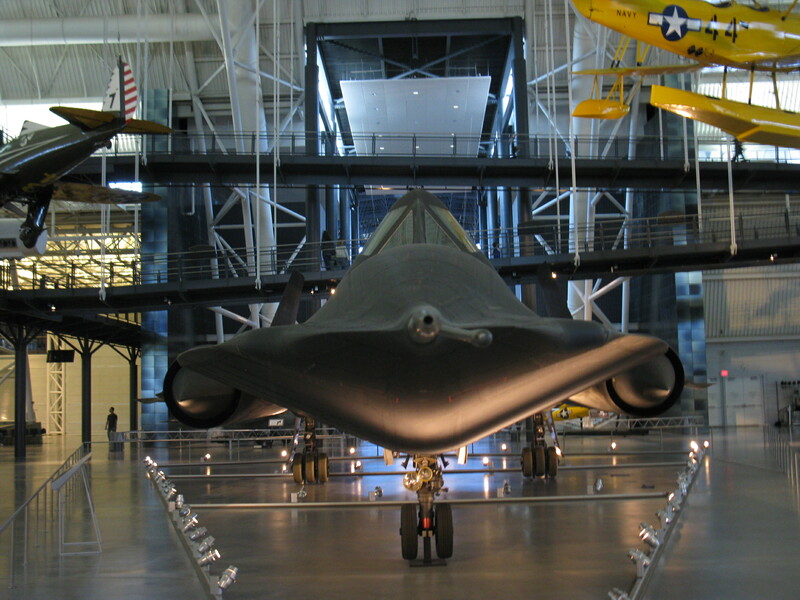 The first is the SR-71A Blackbird – the world’s fastest jet propelled aircraft. Operational from 1964 to 1998, a total of 32 aircraft were built with none lost to enemy action. The data they collected is now provided by satellites. The last flight by this Blackbird was to set the speed record for flying from the West Coast: Los Angeles to Washington in one hour, four minutes. It was then turned over to the Smithsonian. Behind the Blackbird is the Space wing, and pride of place is held by the Space Shuttle Discovery. 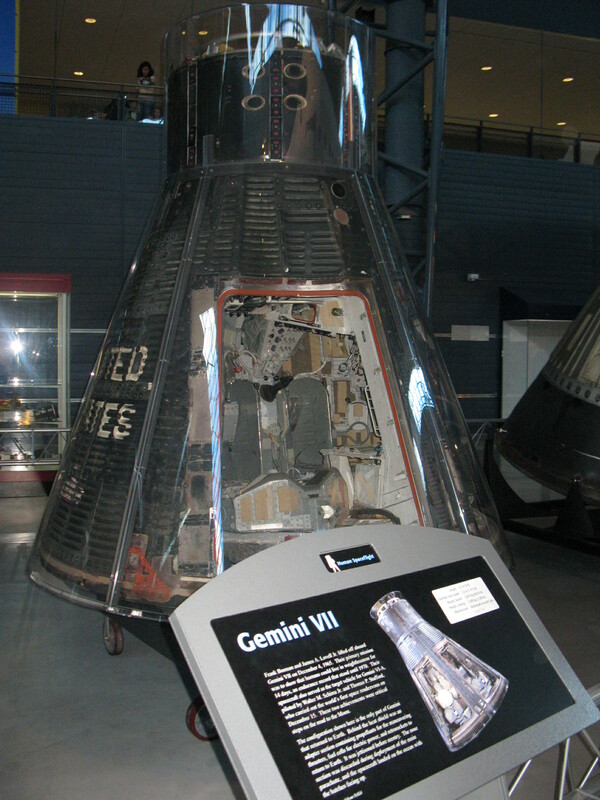 This craft spent 365 days in space, over 39 missions, carrying a total crew of 251. 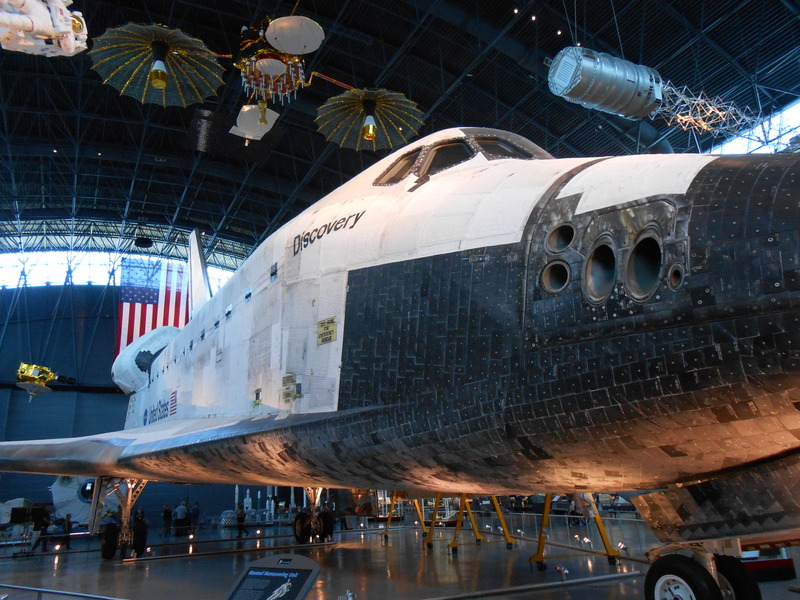 It is preserved at the Center as intact as possible after completing the 133rd Space Shuttle mission in 2011. 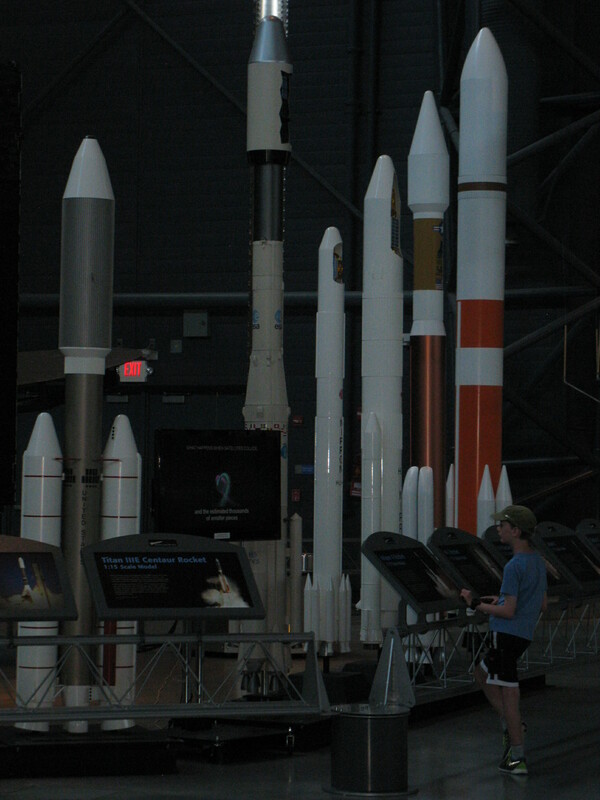 There are many other space displays in this wing as well. The boys and I could spend a long time here. It’s not easy to match a Space Shuttle in terms of historical significance, but the next plane on my list might just do that. 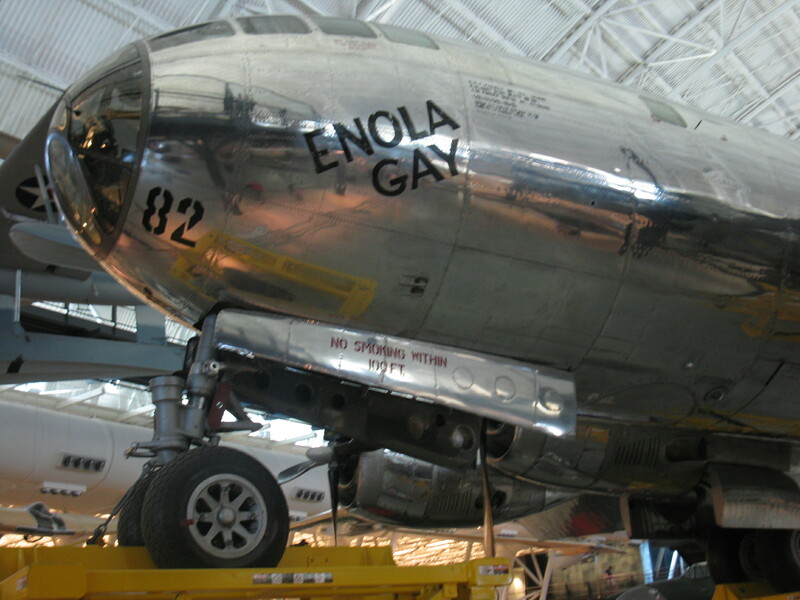 Piloted by Colonel Paul Tibbets, the Enola Gay is a Boeing B-29 Superfortress bomber and was named after the pilot’s mother, Enola Gay Tibbets. On 6 August 1945, its crew released the first nuclear bomb over Hiroshima killing an estimated 100,000. A second bombing followed over Nagasaki, leading to Japan’s surrender and the end of World War II a few days later. One of the guides here gives us a very interesting speech on the plane’s background and its involvement in both bombings. 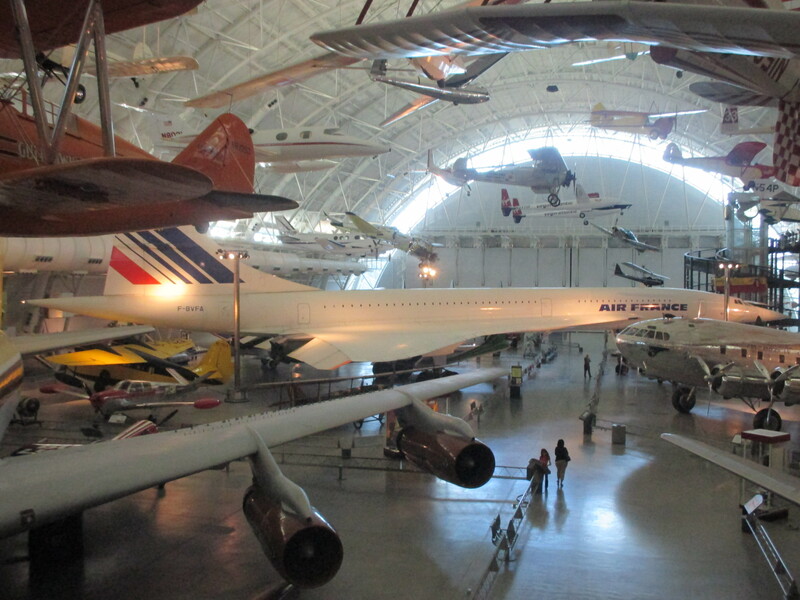 My top four is completed by Concorde, the world’s first supersonic airliner. 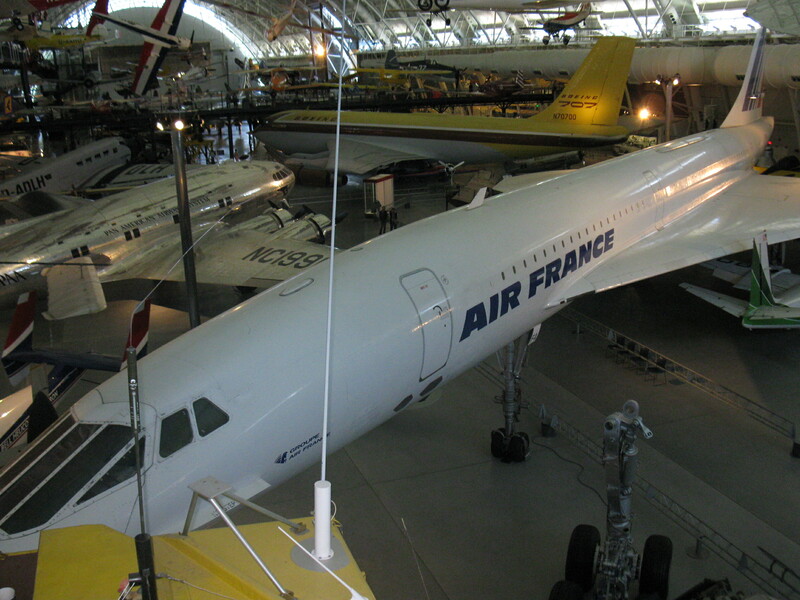 Operational from 1976 to 2003, only 14 Concordes were ever used for passenger flights, seven by British Airways, seven by Air France. The Concorde here is a donation from Air France and was used to fly from Paris to New York, Washington DC and Rio de Janeiro. At over 60 metres in length, it is without doubt the hardest plane to photograph in the Center. 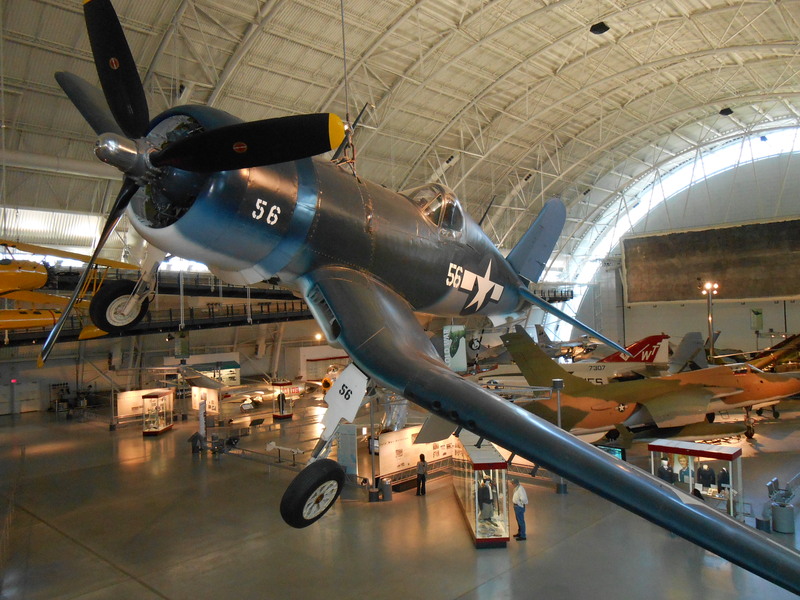 There’s so much more to the Udvar-Hazy Center than these four craft. The website lists 3762 other objects, and I’m sure the more trained eye would select other objects for their top four. 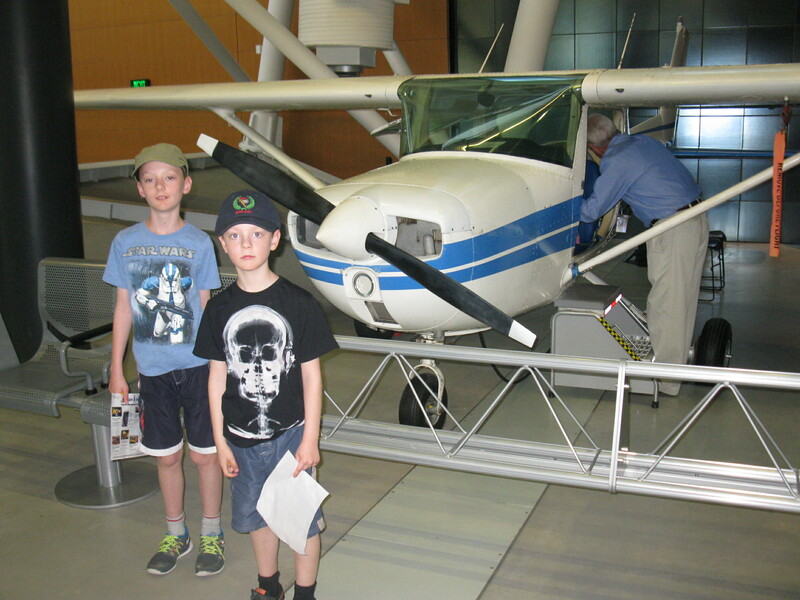 A highlight for the boys is the chance to take the controls on a Cessna, fortunately without breaking anything. I suspect the instructor thinks the boys aren’t listening, so I ask the boys to repeat everything back to him, which they do. 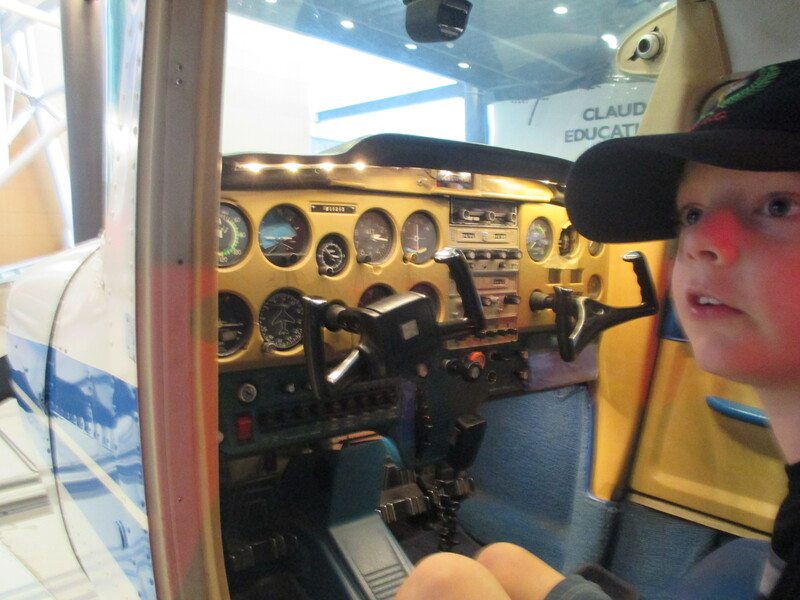 I might have pilots on my hands. The Center has a very comprehensive gift shop, and after lunch we stock up on souvenirs. They have an excellent supply of fridge magnets here. On our bus trip back to the metro, Sam and I have another look at our guidebook for Washington DC. We’ve done quite a bit over the last week, and don’t seem to have missed anything too major. 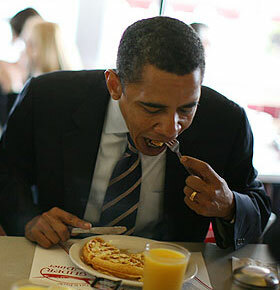 This is the boys’ first taste of the United States and they’ve had new experiences every day. That’s what it’s all about. 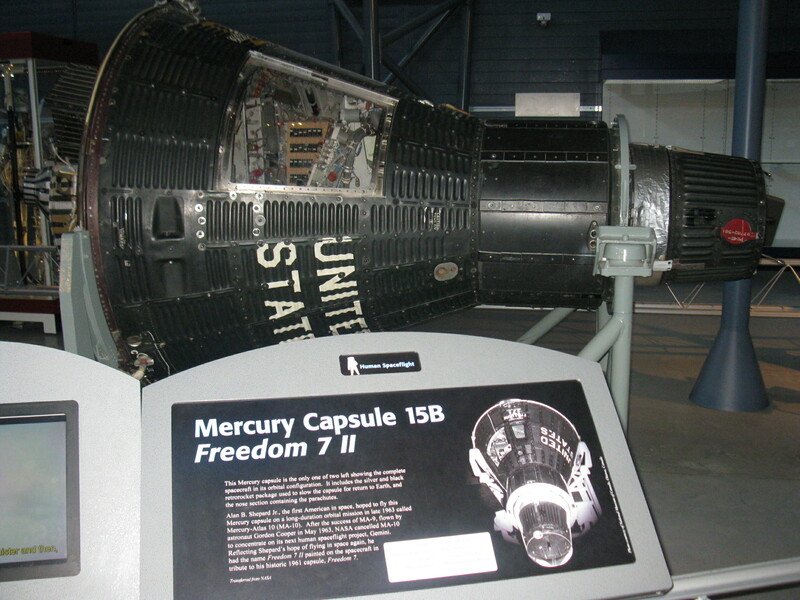 This entry was posted in Travel and tagged Blackbird, Cessna, chantilly, Concorde, Discovery, Enola Gay, Hiroshima, metro, Space Shuttle, Udvar-Hazy, waffles, Washington DC. Bookmark the permalink. Sounds like a great day out and your photos did much more justice than mine on our recent trip to Duxford Air Museum near Cambridge England. I had no hope of getting their Concorde into one shot. Bet the boys had a lot to tell grandma about! Grandma did come that day, but I think she would have preferred to be back looking at the Hope Diamond some more! 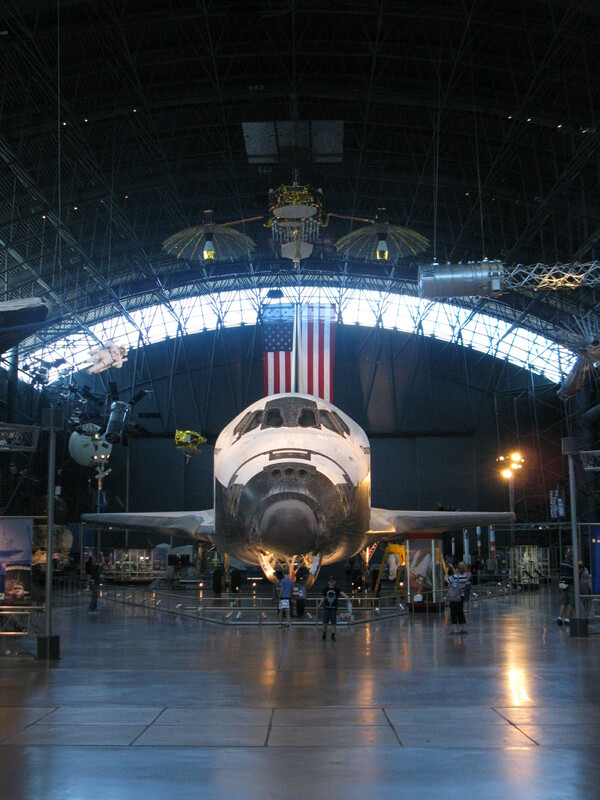 I would love to visit Udvar Hazy one day! Was disappointed that I didn’t manage to do so during my trip earlier this year to DC, so its really awesome to the pictures from your post. Thank you for sharing! Hi! Thanks for the feedback, and I’m glad we made it here. It was a bit of a trek with a few changes on the way there and back, but well worth it. 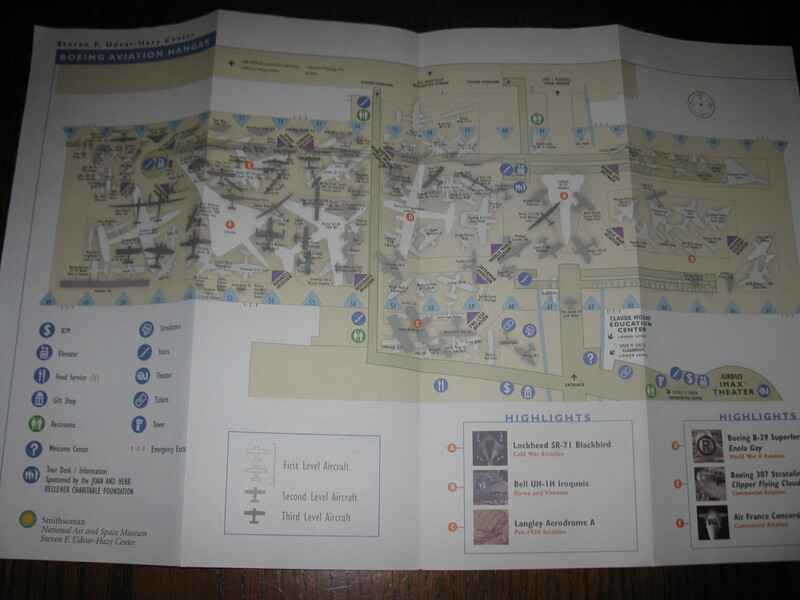 I should have mentioned more about the guides, who gave very comprehensive talks about certain displays. They also gave the boys some free stuff on the way out. They left a very good impression. Well done Udvar-Hazy!